When flying the aircraft, pilots are indeed the rulers of the sky. While flying is one of the most thrilling experiences, finding best gifts for pilots is not an easy task. Most pilots usually tend to have everything, so choosing aviation gifts can be a tricky proposition. 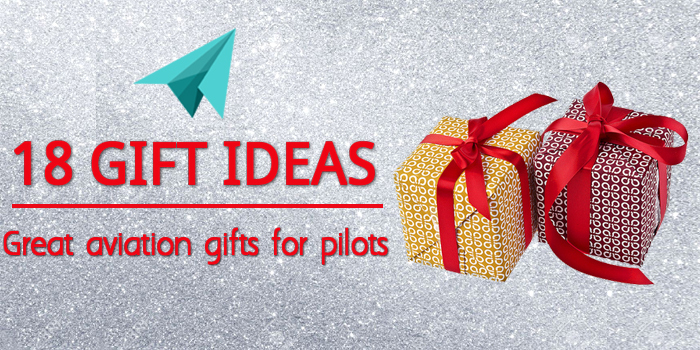 To make things easy for you, we bring you the best gift ideas for pilots. Let me first deal with the very first thing in the day. Yeah, I am referring to the Coffee Mug with a message imprinted on it. Find one that suits the pilot’s personality. I found one that can be gifted to young pilots as aviation gifts. This one reads “PILOT – My Official Title, Most people call me BADASS”. It is made of ceramic and still easy to grip while being dishwasher and microwave safe. You may also check this. 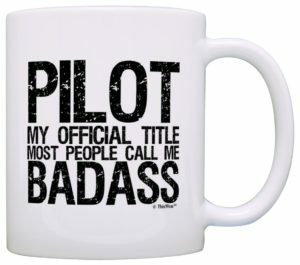 Just make sure that you find a mug that has a message relevant to the pilot’s passion or inspiration. I am sure the pilot is going to love this small gesture of affection. If you intend to express your wishes to a pilot, there are many ways to do it. One simple way is to gift him a key chain with a message. This one has a strip that is made of aluminium and hence is quite light weight. It has the text “Fly Safe” stamped on it apart from having a miniature aircraft model tagged to it. This would serve as great travel presents for pilots before they undertake a trip. 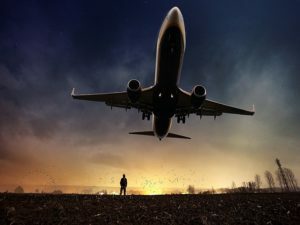 It’s the best way of recurrently telling them – have a safe flight! A bottle opener in the shape of an aircraft can be one of the best gifts for pilots. This one particularly has a bronze finish that gives it a vintage look. There is a tag attached to the bottle opener that reads “Let the adventure begin”. Anybody who loves planes and of course drinking would appreciate your choice. In fact, though being smaller in size among the aviation gifts for pilots, this one is quite heavy for its size and bears a premium look due to its metal finish. Next in the list of presents for pilots I would include a set of airplane shaped plastic hangers. Pilots have to travel and more often carry their wardrobe with them. 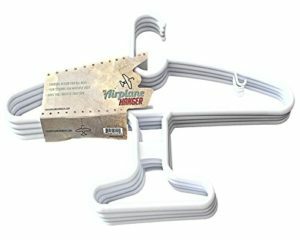 This set of clothes hanger can be used to hang their shirts, pants, ties and belts too. They are designed to look like an aircraft and would specifically catch the interest of a pilot. 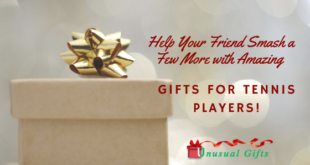 If you are looking for gift ideas for pilots, do include this in your list. A tie piece that is tailor-made for a pilot or an airplane enthusiast is the next gift in my list of presents for pilots. 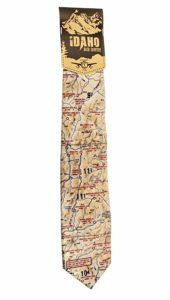 Crafted with human hands on a polyester fabric, this tie showcases Idaho’s Frank church wilderness, this aviator gift is worth a buy. Ask him to wear it with a suit and he is set to grab eyeballs. This tie would accentuate his looks and add a sense of elegance to his flair. When he wears this aviation gift, there are going to be many others that would envy his choice of ties! What does a doormat have to do with a pilot? I understand this should be a question ringing in your mind now. 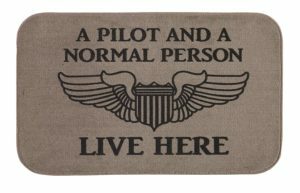 Well, this doormat would definitely find its way among the best gift ideas for pilots due to the message on it. It reads “A pilot and a normal person live here”. As far as other things about this doormat goes, it features a durable non-skid backing and is waterproof making it a useful item for his home. Nothing can be more relevant than the miniature aircraft models as presents for pilots. What you see in the link is a model of the Revell 1:48 F/A – 18 E Super Hornet that has been around since the 1970s. Even though this is a miniature version, there is no dearth of detail in its design. Though this is a toy best suited for kids, it would bring out the kid in the pilot. He would get to fly the iconic fighter aircraft of the US Navy and Marines, literally. 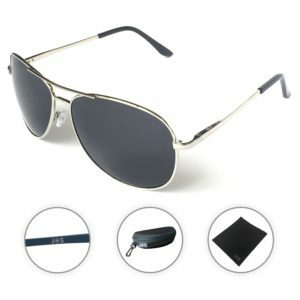 It would be a huge disappointment if I do not include the aviator sunglasses among the list of best gifts for pilots. The aviator sunglasses were initially also known as “pilot glasses” as they were designed to protect the eyes of the pilots while flying. Understandably, these glasses look best on pilots and have been a fashion item since the mid-1930s. Find a similar one that looks elegant on the pilot you know and he is going to wear it quite often. In fact, there is a possibility that it would become an integral component of his style. Let’s take some time for the basic needs. 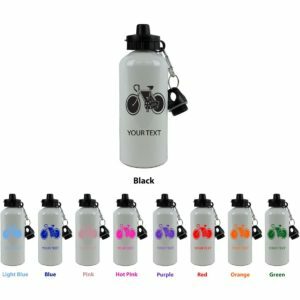 So, here I have the Sports Water Bottle with a capacity of 20 Oz included in the list of aviation gifts for pilots. Made of aluminium, this gift for pilots has the text “Eat. Sleep. Fly.” printed on its glossy exterior to indicate the schedule of a pilot’s regular day at work. It has two twists on caps – one standard and the other an easy-flow drinking spout. There is a carabineer clip included as well to attach the bottle securely. Another gift that you can add to the gift ideas for pilots is the touch screen gloves. Made of high-quality Lycra, the touch screen gloves allows the pilot to control his touch screen devices and at the same time protect his hands from the cold when he is flying in a cold weather. 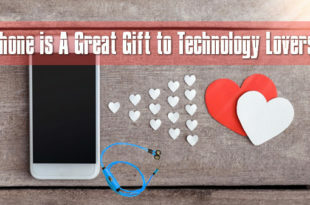 Gifting a pair of touch screen gloves as in the link will surely make him happy and he will appreciate it forever. 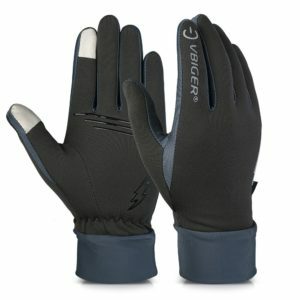 There are no other best gifts for pilots like a pair of warm tech-friendly gloves in the winter season. Pilots cannot leave the flight controls unattended which makes them sit in their seat for the complete journey. Why don’t you buy the pilot you know a kneeboard which can be used for multiple purposes. Nowadays almost all the pilots and flight instructors are using latest technologies and gadgets like iPad in the cockpit. These tri-fold kneeboards will be perfect presents for pilots. 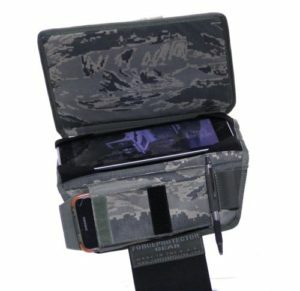 The kneeboard in the link can be used to keep iPads or other tablets, small notebooks, maps and other writing materials. Each compartment in the kneeboard has zips so that his gadgets will be safe from falling. 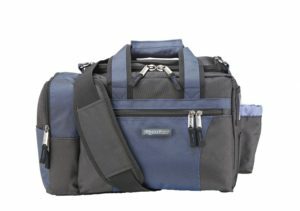 One of the best gifts for pilots who travel a lot is a pilot bag. A pilot will be flying most of the time and he needs to have his luggage ready all the time. Most of the items he carries will be common for all his journeys and you can gift him a pilot bag which is made for pilots. The one in the link is a simple pilot bag and has a separate pouch for keeping his headset. This is suitable for short journeys. But if he has to be out of town for more than a week you can gift him a bigger pilot bag with more pouches and compartments. 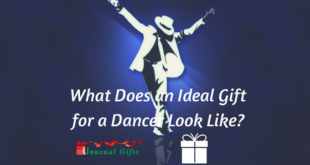 Wait and see his excitement when you gift this bag to him! An action camera is one of the gift ideas for pilots who fly for long hours. A GoPro camera can be attached anywhere (even in a cockpit) and you can capture the photos or videos. While flying the pilot can click photos or make real time videos. 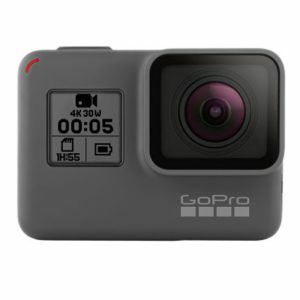 The GoPro camera series gives you different versions and the latest one is Hero 5. You get accessories and software needed for the camera from the website. The versatility of the GoPro camera enables him to use this to capture precious moments from his life. The camera is waterproof and Wi-Fi enabled. This is one of the best action cameras available in the market now. 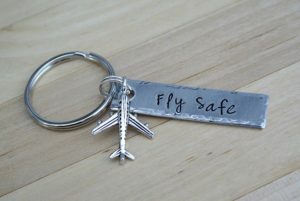 A pilot will love anything related to an airplane that will remind them about their adventures as a pilot. 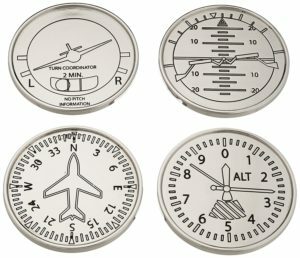 While searching for presents for pilots I found a set of coasters which is made of nickel and has pictures of all meters in a cockpit. The coasters represent flight instruments like altimeter, speed indicators, altitude indicator, and heading indicator. We all know that coasters are used to keep mug or glass filled with beverages. I am sure he is going to enjoy his coffee once he is done with his work and these coasters will serve the purpose. Clock has been an ideal gift for any occasion for a long time. 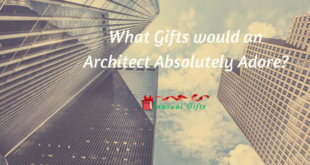 But it becomes a personalized gift when you customize it with the person’s profession, hobby or occasion. Here I am referring to a clock which resembles the cockpit with all the cockpit gauges in a plane. 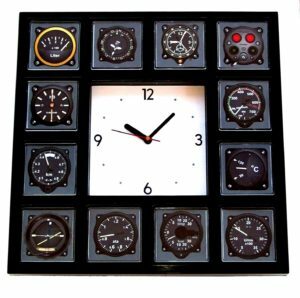 These cockpit panel clocks are suitable aviation gifts for pilots as well as other officers. He can hang this clock in his office or home. You can even convert this to a table clock with the help of swing-out stand behind the clock. Cufflinks are often a fashion statement and pilots always wear their uniform. 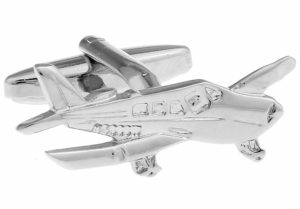 The next one in the list of gift ideas for pilots is silver cufflinks in the shape of Cessna plane. He can wear this for parties and even to office when he is not flying. The cufflinks in the link are made of alloy with silver and brass coating. You can get cufflinks having other shapes like propeller or gauges. 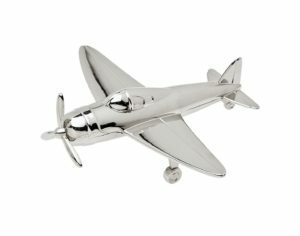 The next gift idea in the list of gift ideas for pilots is a paperweight which is in the shape of an airplane. airplane Paper weight is an office accessory and hence can be a great gift for his office. He will be working with so many official papers and this paperweight is going to be of great help to him. The paperweight made of nickel and is given finishing using silver and brass. One of the best gifts for pilots is a photograph of a plane which they have controlled or dream to fly in the future. 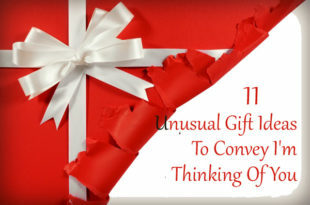 To buy this gift you should know his favorite model and select accordingly. Search online for an airplane poster if you are unable to find one in the nearby store. The poster in the link is of Jumbo jet; however, you can select one that is best suited for your friend. 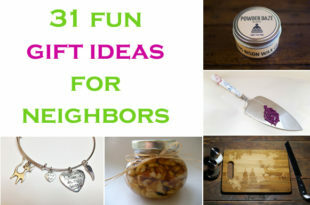 The gifts that I’ve listed above would suit any pilot or an aircraft enthusiast. Choose one that you believe would be the best for him. 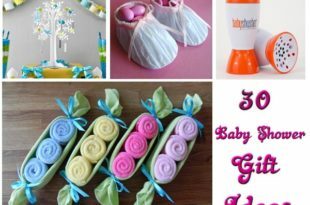 Do not forget to add a personal touch to your gift and make it special!